My new Plum Deluxe article was published this week – and the timing could not have been more perfect. The article is a round-up of no-cook recipes. I don’t know what the weather’s like in your neck of the woods, but it has been crazy hot here in Portland. And because of the heat, I haven’t turned on the oven once this week. If you need some inspiration for summer meals that don’t require slaving in the kitchen, make sure to click through and check out the article for yourself. You can thank me later. Picnics are one of my ALL TIME favorite summer activities. Our little neighborhood is surrounded by four parks in walking distance, and believe me when I say that I spend every possible second bouncing between them when the sun is out. Each one has their perk; one allows dogs so I can bring Lola, another is closer to the local ice cream shop, and so on. You can see where my priorities are, clearly. Anyway. Last month I wrote an article for Plum Deluxe about all things Pineapple, and I’m excited to share my next article with you: 10 Easy Upgrades to Classic Picnic Foods. Check it out – and then share your favorite picnic recipe below. You may have noticed that I love tropical ingredients.Passion fruit. Coconut. Macadamia Nuts. Just to name a few. Pineapple is right up there with my faves. And luckily, it’s easy to find good pineapple on the mainland because it’s one of the few tropical fruits that ships well. 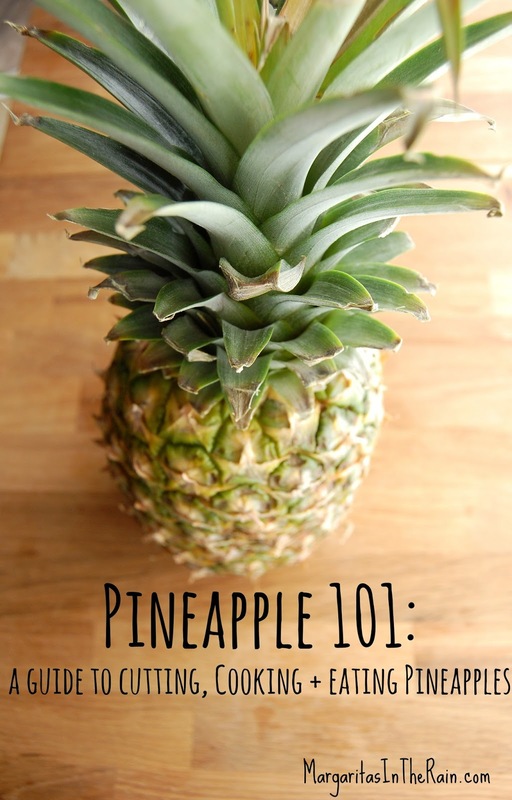 For all things pineapple – selecting a ripe fruit, the best way to cut it, and of course, recipes – click on over to my article on Plum Deluxe. Plus, there will be more fun pieces in the coming months, so stay tuned!